A site dedicated to showing how anyone can earn a passive income online with minimum effort by utilizing EarnHoney, KoinMe and other sites. This site also shows you how to save money daily and how to find the best deals on products you use everyday and invest in opportunities such as gold. 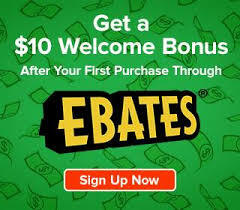 Shop with EBates and get Paid! Make a few extra dollars a day by using the sites listed below. Each site offers both active (surveys) and passive offers (running videos), a little effort can go a long way in supplementing your income to allow you to treat yourself or make ends meat. Good luck and Happy Earning! These sites have all been tested and truly pay out as advertised, if you would like to see proof please post a comment and I can provide, there is real money to be made out there without scams if you have patience and realistic expectations. InstaGC - is a portal to all sorts of earning opportunities, videos, surveys, apps, you name it. You can earn passively through watching videos under the Engage me tv link, or you can sort by videos to find it. You can also complete surveys and offers for BIG times earnings. 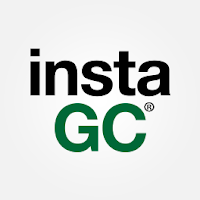 InstaGC is really a great catch all to find out all the opportunities there are to earn on the web. 1 point = 1 cent and they offer tons of cash out options via gift cards to Amazon, Walmart, Best buy, Target etc, and payout is INSTANT! no waiting for weeks to get what you have earned, hence the name InstaGC. You can also earn a juicy 10% (no limit) on referrals. Pro tip: To earn by watching videos go to "Engageme Tv" section and sort by most points to maximize earnings. Check out EBates now and start saving. get Paid to shop online at the sites you use everyday! EBates is a no brainier to get paid via check or PayPal cash back for using sites you use everyday, including Amazon, Walmart, eBay and others. Just shop at the sites you do everyday and receive a check every 3 months with up to 10% back on all the things you bought online. 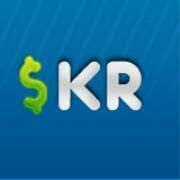 Earn $10 for free just by signing up no hidden costs or gimmicks. Keep Rewarding is the new kid on the block just launched over the past year, this is an excellent opportunity to get on the ground floor or a hot rising new earning site. Keep Rewarding has a super slick interface that works seamlessly on mobile as well as desktop to allow you to earn real CASH in a number of different ways, surveys, watching videos, case studies just to name a few. You can cash out through paypal or various gift cards and payout only takes a few days versus some places that can take weeks. If you are looking to supplement your income with a few extra dollars a day (which can add up to hundreds extra per month) do your favor and check out Keep Rewarding to start earning real dollars today. You can also earn a tasty 10% (no limit) on referrals. 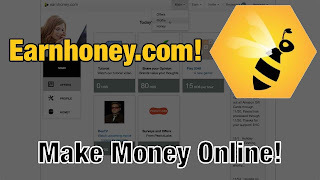 EarnHoney is a website www.earnhoney.com that allows you to earn a few bucks in passive income per day. They also offer surveys for cash and often have promotional opportunities to earn extra honey per day. You can also earn a spicey 10% (no limit) on referrals. EarnHoney is a website www.earnhoney.com that allows you to earn a few bucks in passive income per day. They also offer surveys for cash and often have promotional opportunities to earn extra honey per day. Companies pay big money to drive traffic (views, hits, clicks) to their websites, videos, products. Part of the way companies do this is by paying advertisers to push that traffic out to consumers (you and I) The big companies do not care so much about the quality of the traffic that is driven to their site because ultimately that, we will call it "shadow" traffic will push their website, video, product up the list on search engines such as Google, Bing, YouTube, etc. As a member of EarnHoney you can benefit from this and become part of the force that drives this shadow traffic. EarnHoney essentially pays you to watch ads on your computer, it is a slow process, but it is a passive one (you can set up your computer to run, go to bed, go to work, come back and you have made 50 cents to a dollar per computer that you left running). This might sound like small potatoes (get it, the blog is called that) But lets do some math (really quick and painless I promise). Let's say you have 3 computers, each computer will earn you anywhere between 50 cents and 2 dollars a day it can very widely based on the number of paid ads that Earn Honey has on their website at any given time. So, for arguments sake, let's say $1.25 per computer per day so (1.25 x 3 = 3.75), this equates to (3.75 x 7 = 26.25) per week, (3.75 X 30=112.50) per month, and (112.50 x 12 = 1,350) per year. Sounds pretty sweet right, an extra $1,350 per year, what if you went and asked your boss for a raise like that? Wouldn't you be happy to get it. Well now you can give yourself a raise by just running a few videos in the background of your computers. Even just one computer is still $450 extra per year. What will you need to get started? Luckily not a whole lot. First, you will need a decent laptop or desktop computer (preferably several). Second, you will need access to electricity (obviously) and relatively fast internet, at least 3Mbs downstream. Be sure that you do not have a maximum allowed amount on your broadband usage, if you do you will need to be mindful of how much data you have used per month as using Earn Honey does use a significant amount of data. Third, Make an EarnHoney account here www.earnhoney.com and start running videos on your computer to earn "honey" which can be converted into Amazon gift cards or a direct deposit to your paypal account. That is it, really, that is all you have to do. The website offers surveys and other ways to "Earn Honey" and some of those are worth the time so check those out too if you are into that kind of thing. are all opportunities to earn a few extra bucks a day with legitimately No effort. All it takes is a laptop/smart phone to get started. Companies pay big money to drive traffic (views, hits, clicks) to their websites, videos, products. Part of the way companies do this is by paying advertisers to push that traffic out to consumers (you and I) The big companies do not care so much about the quality of the traffic that is driven to their site because ultimately, we will call it "shadow" traffic will push their website, video, product up the list on search engines such as Google, Bing, YouTube, etc. The good news about all of this is that by assisting in generating that shadow traffic to these big companies you can actually make a few bucks a day in the process. Spoiler Alert! This is not a get rich quick scheme, this is not a Pay me to learn the true secrets ploy, this is just a guy sharing information and if I make a few bucks with ads or driving traffic then that is great too. EarnHoney - A site that allows you to run videos/ads 24 hours a day to earn "Honey Dollars" (HD) Which can be cashed out into Amazon gift cards or direct cash via Paypal. This can be run on an unlimited number of devices and with multiple tabs per device. The only catch is that you can only make as much money as there are ads to show. Max earnings are 100 HD per hour or 1 dollar per hour, so $24 per day, but to do that would require 5+ devices with multiple tabs on each one. Realistically, expect $2-5 per day. To maximize earnings be sure to download the Super Pop Quiz app which will also run passively and earn you an additional 1 dollar per day on average. EarnHoney also offers surveys that pay pretty well and run promotions often to encourage users to log in. For more information go to our EarnHoney Page. InstaGC - is a portal to all sorts of earning opportunities, videos, surveys, apps, you name it. You can earn passively through watching videos under the Engage me tv link, or you can sort by videos to find it. You can also complete surveys and offers for BIG times earnings. InstaGC is really a great catch all to find out all the opportunities there are to earn on the web. 1 point = 1 cent and they offer tons of cash out options via gift card, and payout is INSTANT! hence the name InstaGC. KoinMe - This site is the new kid on the block and is currently only able to be joined by invite only. Click KoinMe to submit a request to be invited. This site is very slick and currently provides around $1-2 a day completely passively, set it and forget it, you can even minimize the window. Just remember to allow pop ups before you start. Currently offers are only able to be viewed via laptop or desktop but mobile is coming. They offer cash outs through gift cards like Amazon, Walmart and Best buy. I think this site will really grow into something special and getting in on the ground floor is a huge opportunity. - While not as high an earner as the two sites above is still a very non intrusive way to earn $5-10 per month per device you run with it. Basically once you sign up you have a tab open on your browser that will automatically jump to various web pages to generate traffic for those pages. The really neat thing about this site is that instead of cashing out in a traditional sense through Paypal (which you can do) You can instead use your points to have your site added to the traffic exchange. So if you have a website you want to promote this is great way to drive some traffic to it. Personally that is more valuable to me then the $5 per month. SlideJoy - is an lock screen app that lets you earn money simply by unlocking your phone. Each time your screen locks you are presented with options to further explore advertisements or even news articles (which are actually up to date and interesting). This app is a way to earn money in a very non intrusive way and can easily make $5 per month in passive income. Monthly this comes out to around $5-8 per day/$ 150 per month/$1,800 per year Results will vary based on amount and quality of devices, but this is overall a pretty conservative estimate. And again, this is not a scam boys and girls, this is just regular people like you and I getting a piece of the giant advertising money pie. more fun to watch. Please play responsibility. Ebesucher, Also check out out Pro Tips Section to maximize profits. So there you have it, my 5 pillar strategy to passive income. Set up and execution time for all 5 things is less than 5 minutes a day. So just to recap. 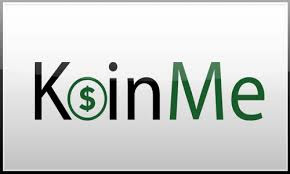 EarnHoney and KoinMe can both provide $2-5 dollars a day easily depending on the amount of devices you run with them. InstaGC offers almost limitless opportunities to earn, depending on the amount of time you want to put in it. SlideJoy, and Ebesucher bring in about 25 - 50 cents per day. Monthly this comes out to around $5-8 per day/$ 150 per month/$1,800 per year Results will vary based on amount and quality of devices, but this is overall a pretty conservative estimate. And again, this is not a scam boys and girls, this is just regular people like you and I getting a piece of the giant advertising money pie. When it comes to being a "Passive Potato" there are few investments better than Gold. Luckily, it has never been easier to invest directly in Gold thanks to the creation of Karatbars. Karatbars are available in over 120 countries and they are the real deal Gold bullion that you can physically own. Karatbars also make great gifts for graduations, birthdays, and weddings. You can check out there product line Here and find out more about becoming an affiliate Here. It is completely free to get started. Take control of your future investments and start investing in Gold today! EarnHoney has just instituted a new android app very similar to how Perk Pop Quiz use to be. The app is called Super Pop Quiz, you answer questions and allow ads to run to earn points which can be covered into "Honey Dollars" and cashed out for Amazon gift cards or paypal cash via the EarnHoney website. Oh and it can be ran on multiple devices and runs passively without even touching a button. Head over to EarnHoney to find out more and sign up and download the app. Also check out out Pro Tips Section to maximize profits. EarnHoney - A site that allows you to run videos/ads 24 hours a day to earn "Honey Dollars" (HD) Which can be cashed out into Amazon gift cards or direct cash via Paypal. This can be run on an unlimited number of devices and with multiple tabs per device. The only catch is that you can only make as much money as there are ads to show. At times the site does go dry, but other times it is easy honey (See what I did there). Max earnings are 100 HD per hour or 1 dollar per hour, so $24 per day, but to do that would require 5+ devices with multiple tabs on each one. Realistically expect $2-7 per day. EarnHoney also offers surveys that pay pretty well and run promotions often to encourage users to log in. For more information on EarnHoney go to our EarnHoney Page. KoinMe - This site is the new kid on the block and is currently only able to be joined by invite only. Click KoinMe to submit a request to be invited. This site is very slick and currently provides around $1-2 completely passively, set it and forget it, you can even minimize the window. Currently offers are only able to be viewed via laptop or desktop but mobile is coming. They offer cash outs through gift cards like Amazon, Walmart and Best buy. I think this site will really grow into something special and getting in on the ground floor is a huge opportunity. SlideJoy - is an lock screen app that lets you earn money simply by unlocking your phone. Each time your screen locks you are presented with options to further explore advertisements or even news articles (which are actually up to date and interesting). This app is a way to earn money in a very non intrusive way and can easily make $5-10 per month in passive income. 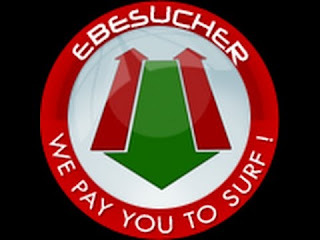 Ebesucher - While not as high an earner as the two sites above is still a very non intrusive way to earn $5 per month per device you run with it. Basically once you sign up you have a tab open on your browser that will automatically jump to various web pages to generate traffic for those pages. The really neat thing about this site is that instead of cashing out in a traditional sense through Paypal (which you can do) You can instead use your points to have your site added to the traffic exchange. So if you have a website you want to promote this is great way to drive some traffic to it. Personally that is more valuable to me then the $5 per month. So there you have it, my 4 pillar strategy to passive income. Set up and execution time for all 4 things is less than 5 minutes a day. So just to recap. EarnHoney and KoinMe can both provide $2-7 dollars a day easily depending on the amount of devices you run with them. SlideJoy, and Ebesucher bring in about 25 - 50 cents per day. Monthly this comes out to around $5-8 per day/$ 150 per month/$1,800 per year Results will vary based on amount and quality of devices, but this is overall a pretty conservative estimate. And again, this is not a scam boys and girls, this is just regular people like you and I getting a piece of the giant advertising money pie. My strategy for total passive income is a 4 part strategy. The 5 parts are: EarnHoney, KoinMe, SlideJoy, and Ebesucher, Also check out out Pro Tips Section to maximize profits. While following the 4 Part Strategy, a little maintenance can go a long way. Below are a few recommendations I have to make the process run smooth. One thing to mention is that if you are not using a PC to run Perk TV or EarnHoney then you should be using a Amazon Kindle Fire, I have found this to be much more stable than cell phones or other more expensive tablets. First, for EarnHoney and KoinMe do not run more than 2 tabs per service per device. This is for multiple reasons. Most PCs will load the videos extremely slow if you try to do more than that and that will ultimately cause you to earn less honey/points then you would have with fewer windows. Even if you have a high end computer that could run more windows it is probably not a good idea as these sites are tracking how much you earn and are not going to let you make hundreds of dollars a day doing this, they just aren't. So be smart, be practical, and don't be greedy. My personal rule is to not make more than 10 dollars per day with any ONE service, that does not prevent you from making more than that collectively though. Next, Running all of those videos for long periods of time can really fill up your internet cache with data, this in turn can cause the videos to load slower and prevent you from maximizing earning. I recommend clearing your internet history to include cookies/temporary files/download history at least once a day. I also recommend downloading and using CCleaner, This is a free program that cleans your entire computer (including internet history). Doing this daily will increase performance and help maintain your PC. Finally, in conjunction with clearing your cache daily, I recommend signing in and out and opening new windows to run your programs each day. Just a good habit to have some interaction with these windows. The sites have varying requirements for how long you can be logged in for any one session, but I have found that just signing in and out for all services, EarnHoney, KoinMe, and Ebesucher is just good policy. Restarting your machine at least once a week is a good idea also. So there you have it, just a few easy tips that I have found to help the entire process run smoothly. Just consider these preventive maintenance measures that you can take to prevent computer crashes or websites dropping. Want to save a few bucks a day on buying things you were going to purchase anyway? Well you are in luck, because it is super easy and efficient to do. First rule, never make impulse purchases (it is cheaper some place else, I promise). Second rule, when you know what you want, do your research online before ever going into a store. If you are already in the store, look on your phone for a better deal. Third rule, Once you have found the item you want for the best price available, look for coupons online before completing your purchase. This all might sound incredibly easy and obvious, but you would be very surprised (or maybe you wouldn't be) that so few people actually do this before making a purchase. And I am not just talking Big purchases..... but EVERY Purchase! Video games, clothes, toys, books, anything and everything. Below are some sites that will help you accomplish this. Oh and One more thing to keep in mind. When things are on sale that you know you will need over the course of a year (air filters, coffee, cereal, diapers, detergent, etc) Go ahead and buy it at the discounted price and store it until you need it. A little planning goes a very long way. http://slickdeals.net/ - I use this site several times a day, there are always new deals being posted and it is easy to search for a product specifically. http://www.retailmenot.com/ - Anytime before I go out to dinner or make a purchase I check this site for coupons to save money. This site has saved me hundreds if not thousands over last 5 years. https://www.cheapassgamer.com/ - If you are into video games then this is a great site to check and find deals on. The website's name really says it all. I also recommend the podcast the guys do, it is a fun time. There are tons of others deal sites out there, but these are the main three that I use, none of them require any sign up or commitment to take advantage of the savings that they provide. How does a few extra bucks a day sound? What if I told you that you could make 5,10, even 20 dollars per day with little to minimal effort on your part. Oh yeah, and by the way this is not a scam or a pyramid scheme or anything of the sort. What it boils down to is being paid for your CPU power and internet usage time. Companies pay big money to drive traffic (views, hits, clicks) to their websites, videos, products. Part of the way companies do this is by paying advertisers to push that traffic out to consumers (you and I) The big companies do not care so much about the quality of the traffic that is driven to their site because ultimately that, we will call it"shadow" traffic will push their website, video, product up the list on search engines such as google, bing, youtube, etc. It is all a giant game that can be manipulated, much like our American economy as a whole (but that story is for another day). The good news about all of this is that by assisting in generating that shadow traffic to these big companies you can actually make a few bucks a day in the process. So let's get to the details and the reason you are here. My strategy for total passive income is a 4 part strategy. The 4 parts are: EarnHoney, KoinMe, SlideJoy, and Ebesucher, Also check out out Pro Tips Section to maximize profits. EarnHoney - A site that allows you to run videos/ads 24 hours a day to earn "Honey Dollars" (HD) Which can be cashed out into Amazon gift cards or direct cash via Paypal. This can be run on an unlimited number of devices and with multiple tabs per device. The only catch is that you can only make as much money as there are ads to show. At times the site does go dry, but other times it is easy honey (See what I did there). Max earnings are 100 HD per hour or 1 dollar per hour, so $24 per day, but to do that would require 5+ devices with multiple tabs on each one, but certainly possible. EarnHoney also offers surveys that pay pretty well and run promotions often to encourage users to log in. For more information on EarnHoney go to our EarnHoney Page.